As a part of our mission, Insight offers a variety of training options to businesses, school groups, service organizations, and faith communities regarding current topics in Alzheimer’s disease and caregiving. With our expertise in dementia care, IMCC also provides consulting services and specialty seminars for long-term care facilities and other professional groups serving older adults. Learn how to define dementia, distinguish the different types, and gain an understanding of the typical path of disease progression. Learn ways to keep individuals active and engaged in personalized activities, such as Music & Memory or a Multi-Sensory Environment, and tips for making each day a little more personalized! Though memory and communication abilities are impaired as dementia progresses, the ability to connect through the senses remains strong. This interactive workshop helps caregivers to learn how to better engage individuals by tapping into the five senses. This class will discuss the different types of dementia, common behaviors, reasons for troubling behaviors, and corresponding strategies to help you communicate effectively with the individual and their family members! Communication, both expressive and receptive, often becomes difficult as you struggle to meet the needs of the individual with dementia. Learn some communication skills that can help ease the frustration and lead to successful interactions. For those with dementia, sometimes the only form of communication provided is through behavior, both positive and negative. Come and learn strategies for dealing with difficult behaviors. Learn how to successfully transition an individual with dementia into a long-term care setting. Learn important communication tips and reassuring approaches to help ensure a stress-free adjustment. This is the required seminar for those pursuing a Certified Dementia Practitioner certification from the National Council of Certified Dementia Practitioners. 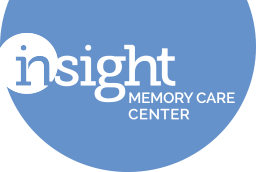 Insight offers the eight hour Alzheimer’s Disease and Dementia Care Seminar for $200 per person for groups of 10 to 20 people. Christi Clark, Executive Director, is the trainer for this seminar. Classes can be scheduled at your convenience! Please contact Lindsey Vajpeyi at 703-204-4664 or lindsey.vajpeyi@insightmcc.org.